ST. GEORGE — A crash involving a single motorcycle on Riverside Drive sent two riders to the hospital Saturday evening. At 9:30 p.m. officers and emergency personnel were dispatched to a reported crash near 1400 E. Riverside Drive, St. George Police Lt. Doug Sargent said. At the scene officers found a motorcycle lying on its side in the roadway with two injured riders several feet from the bike. The man driving the bike was not wearing a helmet at the time of the crash and sustained a serious head injury. He was admitted into the hospital and is still receiving treatment as of Sunday, Sargent said. The passenger, a woman, was wearing a helmet and sustained minor injuries, the officer said. She was treated at the hospital and released a short time later. The man was driving on East Riverside Drive and, after approaching a turn, lost control of the bike which fishtailed as it left the roadway, Sargent said. It continued to skid for more than 65 feet as both riders were thrown from the bike. The now riderless bike continued skidding until it overturned and crashed in the middle of the roadway. 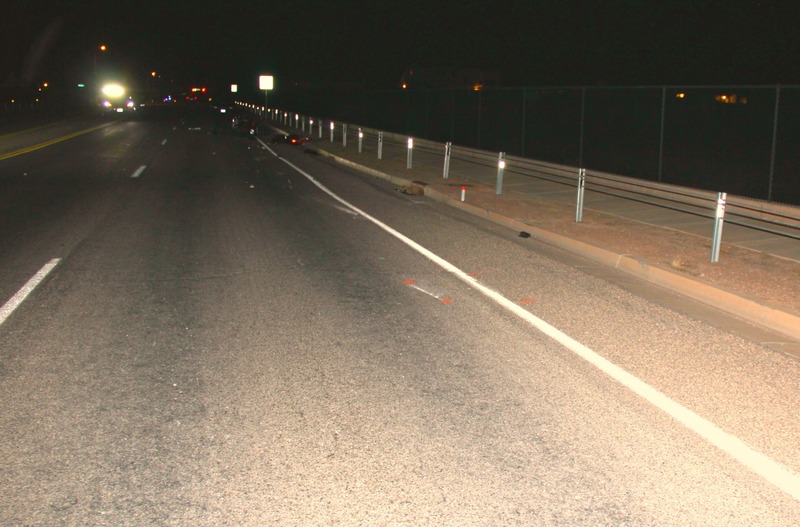 Soon after officers arrived at the scene, the St. George Police Department Accident Reconstruction Team was called in to conduct an investigation into the cause of the crash. Speed was the primary factor according to preliminary findings and witness statements obtained by officers at the scene. Witnesses told officers at the scene the man appeared to be traveling at a high speed as he entered the turn, and he appeared unable to regain control before he and his passenger were thrown from the bike. In addition to speed, there may be other factors that contributed to the crash, Sargent said; however, that information was unavailable at the time of this report. St. George Police and St. George Fire departments and Gold Cross Ambulance responded and tended to the scene.